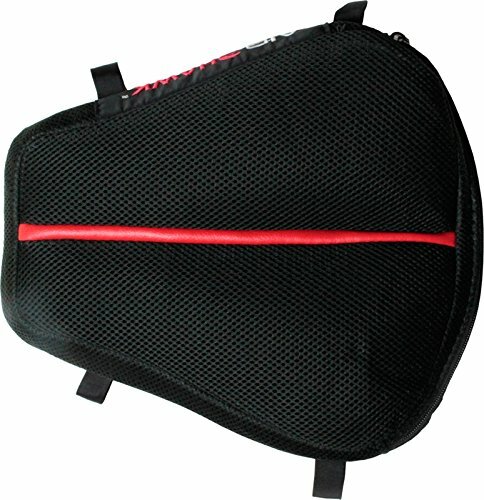 Center cut-out area runs from the front to the back of the cushion, creating strategic points of no contact Back cutaway allows for tailbone and prostate relief and has a tapered transition for increased comfort Re-designed cell geometry improves airflow under the rider to keep pad and rider cool Include a nonskid cover and straps for securing it to the bike and #39;s seat Cover is constructed from a breathable space mesh with red vinyl accents Automatically adjusts to the shape of the rider Made in the U.S.A. If you have any questions about this product by moto-heaven, contact us by completing and submitting the form below. If you are looking for a specif part number, please include it with your message.